If you had told me in the mid-1980’s that my life would be where it is today, I would not have believed a single word. I was happy in my position in architecture, developing and managing historic preservation granting funds and projects. But it seemed that two words could rip that happiness right out of me, “unexplained infertility.” What is that? Explain it to me. But those two words had the biggest impact on my life, even more so than hearing “you’re pregnant.” It was during the mid-1980’s that my adventure down the winding path of infertility began. I spent 15 years in and out of fertility clinics having done numerous treatments and creating a sizeable amount of debt. Having the big 4-0 looming ahead, I had lived a fulfilled life full of love, loss, extensive international travel, great career, but something inside me still felt empty and I’m not just talking about my womb. But my heart and wanting to carry a child and feel whatever a mother’s love is supposed to feel like. That was when I decided that no one was going to help me but myself. I could sit around all day and feel sorry for myself or I could take matters into my own hands. I decided to place an ad in the local college newspaper asking if there was a woman who wanted to help a couple have a child. After getting six responses I interviewed each woman and chose the perfect match for me. I found my own egg donor. At the time it was 1995 when egg donation programs and egg banks were nonexistent. In 1996 I gave birth to my first child who was one of the first 100 babies born through donor eggs in the U.S. He was healthy and beautiful and not for one moment did I think about his DNA not being mine. This is my child. Soon after he was born I was contacted by infertility doctors to help their patients find their own egg donors. My success was being heard and it sparked something inside me. That I could help women struggling with similar infertility experiences like mine have a child. I could even create a whole business around this idea. And that is exactly what I did. There was no donor/recipient matching platform out there, so I created a new business model from the study in my home. It was called X and Y Consulting, which grew to be an international donor roster of potential egg donors. I worked with vendors, various medical professionals, laboratories, business professionals, all who helped me match intended parents with healthy egg donors. Seven years later I created another business with world renowned physicians who were pioneers in developing egg freezing technology. Cryo Eggs International was born and led to the birth of the first baby in the world born from eggs provided by a commercial egg bank in 2005. It was not until I decided to merge my two companies that my vision, my calling, came to be. 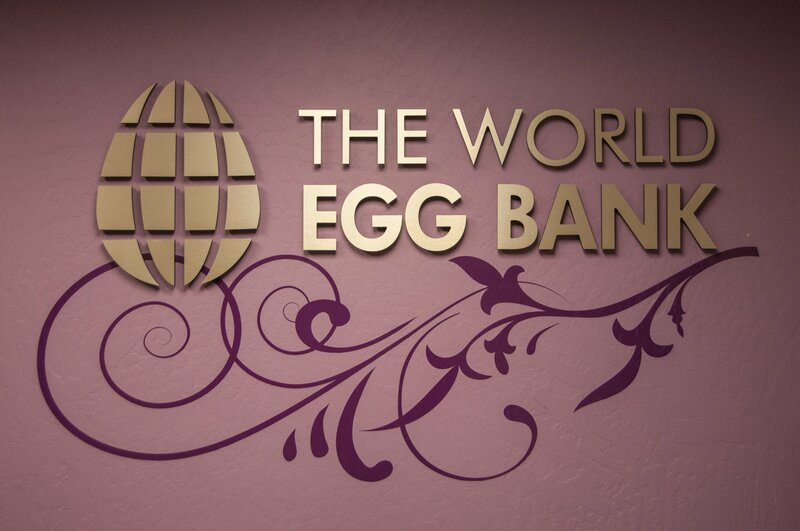 Which is known today as The World Egg Bank. An 8,000 sq. foot facility with the sole focus being on egg donors. Our highly-skilled staff does everything from interviews, to screenings, to retrievals. All from our centralized location. I started out with an idea in my home study and now I’m the Founder/CEO of this business. Did I know at 25, sitting in my first infertility clinic, that I would be helping infertile women worldwide? No. As cliché as it sounds, sometimes you have to go through those dark moments in life to see the light. To be sad to truly know what happiness means. And to me that is my 3 sons all born through egg donation, having the option of using donor eggs become mainstream, and the successes of The World Egg Bank helping those who strive to build a family a simple reality. If you or anyone you know is on the journey of searching for an egg donor, our Client Representative is available to answer any questions you may have. She will guide you through the process, ensuring you receive the best service possible. To register online and view full donor profiles at no cost, visit www.TheWorldEggBank.com and register.